If you are the type of person who is never content with the ordinary, then custom cabinets are right up your wheelhouse. To put it simply, you will not find an off the shelf cabinet in Ham Lake that comes anywhere close to the quality and workmanship that you would get from a custom cabinet made by Danner’s Cabinets. Period! When you choose the option of custom cabinets, you are choosing the flexibility to take your dreams and turn them into a reality. With custom cabinets, you are not confined to a fixed choice of wood, color and style. We can design a cabinet that makes complete use of all available space whereas a non-custom or modular cabinet will only leave you praying that you measured correctly and that it fits appropriately in your Ham Lake home. 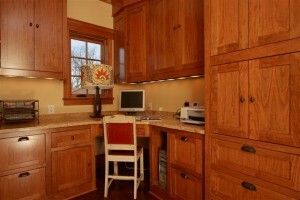 Hand-crafted custom cabinetry offers you numerous pros and virtually no cons. There’s no doubt that they will last for much more than a few decades. That much is definite. But beyond that, your cabinetry will be aesthetically satisfying and they will assuredly be the most stunning, functional and durable cabinets that you will ever have. With custom cabinets, the design and crafting can be in any style you might want them. Each piece is fashioned to your PRECISE specifications with regards to the measurement, shape, hardware, wood choice, and color. All the way down to the tiniest aspects in the design, everything is crafted with regards to your needs and wants. You may choose basically any look, finish or wood that you long for, and we will craft the custom cabinets to suit that want. Obviously, we want you to be completely involved with the design development. They’re your custom cabinets, so you call every shot. The whole project takes place around what you envision and everything we do will be according to your precise specifications. Because your input is so important to the project, we will not make any final design alterations before first consulting with you. Danner’s Cabinet Shop uses specialized cabinet software that gives our clients drawings that are based on their specifications. We will draw up the blueprint for you or help you draft a one-of-a-kind cabinet that is centered around your vision, sketches and measurements. Your Ham Lake home is most likely your largest investment. So when the moment comes to remodel your home, why use anything but the very best? So, before you begin the trek down to the nearest strip mall or local furniture store to select cabinetry that has been created, shipped, and sold within a week, take a moment and think about this investment. Wouldn’t it be a wiser decision to invest in real hand crafted cabinetry that will last for many decades and can be passed down to your descendants? The cabinetry will certainly outlast anything you could find at your local Ham Lake showroom. We employ only the most highly trained cabinetmakers who have been extensively trained and have years of experience in the true art of cabinetry for new construction and remodeling projects in Ham Lake. We have helped our many customers with their cabinet needs throughout the years, regardless of if they have been finishing basements, remodeling homes and offices, or need cabinets for any other uses. The custom work that is in our portfolio includes hutches, entertainment centers, bars, vanities, bookcases, and many other types of items. When you meet with us, we will sit down with you to discuss the different plans and uses that we have found to be the most effective and efficient in our experience. We will make sure to stay within your target budget and will not sell you anything that doesn’t fit into the range of the project. 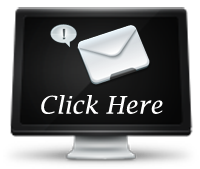 Contact the design experts at Danner’s Cabinet Shop today at 763 753-4002. We will schedule an appointment with you and come out to your home or business in Ham Lake to help you work through the design process. We will then generate a computer drawing for you to sign off on and then get to work on the project.